At PMT we offer the very best in entertainment with our digital TV and HDTV programming options that provide a stunningly clear picture and superb sound quality. No matter where you are in Burley, from the center to the suburbs, we are able to provide a wide variety of options to match your budget and requirements. As soon as you contact us, we will work with you to find the correct package and options to match your unique requirements. We are the most affordable TV Service in Burley. Only $39.95 per month and comes with 24 channels, including local broadcast stations and music channels. With our Silver package at just $74.95 per month, you receive 87 channels plus music channels. In this package which starts as low as $80.95 per month, you get to enjoy 100 standard channels plus music channels. This top of the line package is $129.95 per month and includes 100 channels plus ourmusic channels. 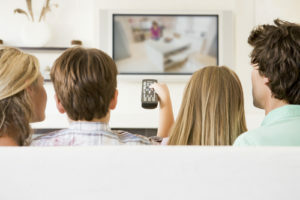 Not only that, but with this option you also gain unlimited access to a wide selection of exclusive movie channels including HBO, Cinemax, Showtime, Starz/Encore and Cinemax movies. With any of these options you can add a Digital Receiver for only $5 per month or enjoy a Whole Home DVR for $10 per month. Our Burley customer support is always ready to answer any questions. They are also experts at advising on the right type of package to choose based on your budget and requirements to ensure you get the maximum enjoyment. Once you are set up, they are there to quickly and efficiently deal with any problems that may occur. To get started give us a call on (208) 878-8234 or email help@pmt.org.